Technological innovations, the evolution of the employer relationship, and the rise of independent workers are just a few key elements contributing to the evolving workforce landscape. Today, human resources professionals, executives, and enterprise managers are confronted with an expanding menu of choices for engaging talent and managing how work gets done. Organizations no longer simply have to find the right person for the job, but they must also consider the best type of workforce model. Increasingly, those discussions involve the decision between engaging traditional W-2 employees or 1099 independent contractors. Correctly classifying talent as either traditional employees (recipients of a W-2 Wage and Tax Statement) or independent contractors (recipients of form 1099-MISC, Miscellaneous Income) can have long-term, far-reaching implications—especially if completed improperly. It is imperative that organizations fully understand the advantages, disadvantages, and legal implications in the talent procurement process in order to correctly classify and engage workers. While the hourly calculated reimbursement for independent contractors may be significantly higher than that for traditional employees, at the end of the day, independent contractors often result in less overall spend. Because independent contractors are responsible for paying both the employer and employee portion of Social Security and Medicare (FICA), organizations are not responsible for this costly and administratively time-consuming expense. For a traditional employee, employers are responsible for paying half of the 12.4% Social Security tax and half of the 2.9% Medicare tax. In addition to initial tax savings involved, independent contractors are typically ineligible for employee benefits such as health and workers’ compensation insurance, further decreasing overall spend. As of December 2017, the Department of Labor estimates that benefits are valued, on average, at nearly 32% of salary. Flexibility can be a strong determining factor in choosing whether to engage 1099 or W-2 talent. If your organization has seasonal highs or lows, or if you require specialized talent for a specific project, the staffing flexibly of independent contractors may be beneficial. Keep in mind that in most states, at-will policies allow employers to terminate the working relationship at any time for any reason, but an employer’s ability to terminate a working relationship with an independent contractor may be governed by the contract you create with the independent contractor. Traditional employees offer the flexibility of extensive employer control over how, when, and which projects are completed at any given time. With a W-2 employee, businesses can assign more hours, more personnel, or both to a project in the timeframe of their choice. One benefit of an employee is having direct control over their day-to-day work, and thus the productivity and use of their time. On the other hand, with an independent contractor, employer control over when and how a project is completed must—by definition—remain quite limited. An independent contractor is responsible for how their work is done, without direction or control. Nevertheless, using independent contractors on a project offers the flexibility of being able to acquire talent for a specific period of time without having to maintain an ongoing commitment, financial or otherwise. Ultimately, the decision to use W-2 or 1099 talent should hinge on the particular demands of your specific project and business model. Independent contractor misclassification risk is perhaps one of the most misunderstood aspects of the W-2 versus 1099 decision and can also be the costliest. Unless a 1099 worker truly qualifies as “independent,” your business could be financially responsible for substantial fines and penalties. It is therefore vital to carefully review whether potential contractors meet certain requirements. 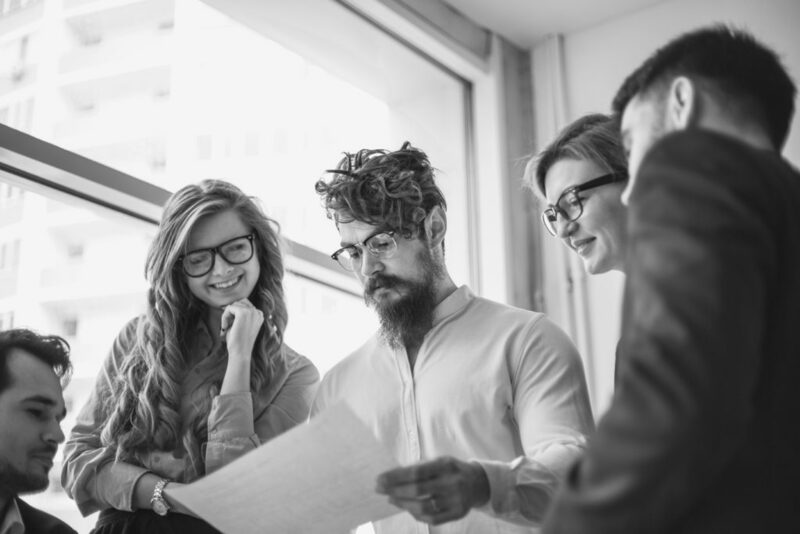 This is not a straightforward or simple task, so working with an organization such as MBO Partners that has extensive experience in helping organizations compliantly engage independent talent can help you avoid costly misclassification issues. The consequences for failure to do this far outweigh any temporary financial advantages of misclassifying a worker as an independent contractor. Finances, flexibility, and foreseeable risk are important considerations for businesses making W-2 and 1099 hiring decisions. By having a defined engagement process, you can retain the advantages and minimize the disadvantages of this critical decision.